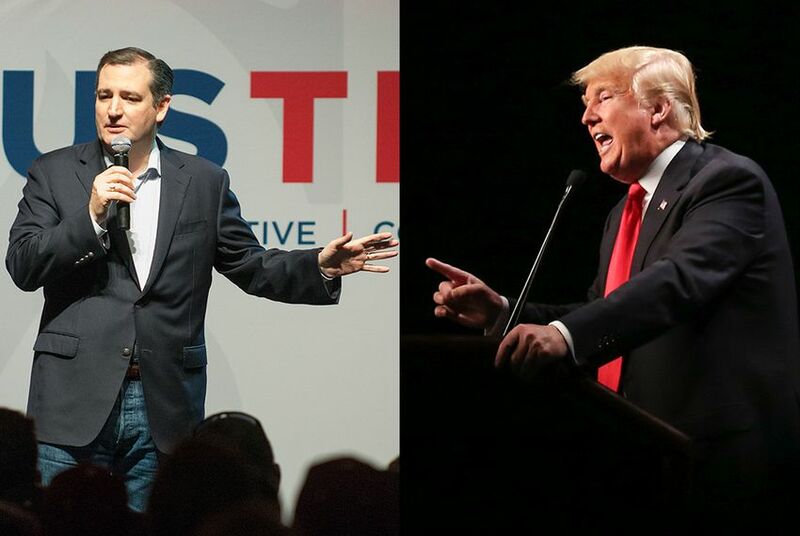 A multimillion dollar effort by establishment elements in the GOP to stop the candidacy of billionaire Donald Trump could end up benefiting Ted Cruz. The Stop Trump movement is picking up steam ahead of Tuesday's pivotal presidential primary contests in Florida and Ohio. The Houston Chronicle's Kevin Diaz reported that more than $20 million is being spent on ads and other media "by a collection of conservative groups orchestrating a barrage of attacks to weaken GOP front-runner Donald Trump — who happens to be Cruz's main impediment to the nomination." Diaz added, "Though some of the prosperous Republican donors in the Stop Trump movement are hardly friends of Cruz, he has become the default alternative to the maverick billionaire whom some see as an existential threat to the party." The Cruz campaign, meanwhile, is ratcheting up its use of data analytics to help guide its placement of events as it hunts delegates in states like North Carolina, Illinois and Missouri, according to Politico's Katie Glueck. "The Texas senator’s operation is now making decisions based on daily and sometimes hourly data about where he stands to pick up the most delegates in the next round of voting," Glueck wrote, "and only then publicly announcing his plans, typically with 24 hours’ notice or less." Analysis: Low Voter Turnout in Texas Gets Obama's Attention, by Ross Ramsey — Perhaps it’s not in the best interests of the people now in office in Texas — whatever their party labels — to change the electoral setup that put them in office. Voices from the Border: Illegal Crossings and Deportations, by Julián Aguilar, Jay Root and Todd Wiseman — Every month, busloads of deported undocumented immigrants arrive at the southern border, returning to Mexico after serving prison time in the United States. Meanwhile, other migrants prepare to attempt illegal border crossings. This story is part of our "Bordering on Insecurity" series. Cruz Picks Up Delegates Before Winner-Take-All Contests, by Patrick Svitek — Ted Cruz is continuing to pick up delegates in the lead-up to the high-stakes nominating contests Tuesday that could knock two of his Republican rivals out of the race for the White House. Obama Mocks GOP For Giving Rise to Trump, by Patrick Svitek — Weighing in on the controversial candidacy of Donald Trump, President Obama ridiculed the so-called "Republican establishment" for being "shocked" by the billionaire's rise to presidential frontrunner. Obama: Texas Leaders "Aren't Interested" in Higher Voter Turnout, by Edgar Walters — Texas’ Republican leadership has stifled voter turnout, and the public sector should do more to encourage online voting and other civic engagement, President Barack Obama said in an interview Friday with Tribune CEO and Editor-in-Chief Evan Smith. In Florida, Cruz Calls Trump an Insider, "Weak" on Terrorism, by Abby Livingston — U.S. Sen. Ted Cruz ratcheted up his criticisms Friday of Donald Trump during an event at an evangelical church in Orlando, painting the real estate mogul as an active participant in what Cruz has long labeled the "D.C. cartel." Vehicle safety inspections are more than just a chore — they're a tax, by Don Huffines — The time and money Texans expend on state-mandated inspection of passenger vehicles would be justifiable if they meant safer roads for us and our families. Unfortunately, they do not.